The never ending panorama of backwaters, lush paddy fields, glorious greeneries give Alappuzha a great significance in the tourist map of Kerala. Alappuzha once ranked among the wealthiest ports along the Malabar Coastas a clearing house for spices, tea, coffee, cashews, coir and other produce shipped frpm the back waters. This land is also famous for its boat races . Alappuzha is interlocked with a large number of canals and bridges.This water locked district has immense untapped potential for backwater tourism, preserved through the ages and completely hidden from the road is an enchanting experience to any visitor. Gliding along the calm and serene backwaters flanked by green leaves and palms seeing a rural more so while sailing a slow-moving, spacious Kettuvallam . 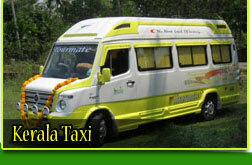 Air - Nearest airport – Cochin International airport (NEDUMBASSERY - 86Kms). Trivandrum International airport 150 Kms. Alappuzha beach is one of the most popular picnic spots in Alappuzha. Its beautiful garden on the shore gives an exclusive sight. Imposing buildings of a colonial past overlook the shore. A 137 year old pier, which extends into the sea isa rare sight. Pathiramanal is a tiny island on the backwaters is a favorite hunt of hundreds of rare migratory birds from different parts of the world. This place lies between Thanneermukkam and Kumarakom. Mararikulam: is situated on the coast south of Alappuzha,12 Kms. from Alappuzha, it houses a quiet beach and has an adjoining fishing village. 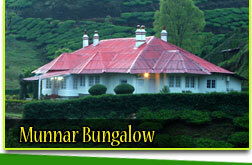 Pool, tennis, water sports and Ayurvedic treatments are the leisure time activities one can avail of. Ambalapuzha Temple: Constructed in the typical Kerala architectural style, this temple is famous all over India, and is renowned for the Palpayasam, the daily offering of sweet milk porridge. This temple witnesses the performance of Pallipana by Velans (sorcerers) once every twelve years. 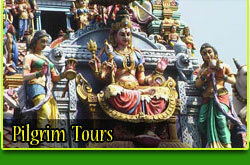 Paintings of the Dasavatharam (the ten incarnations of Lord Vishnu) are displayed on the inner walls of the temple. The ‘ Ottanthullal’, a satiric art form based on social themes was the brain child of the poet Kunchan Nambiar who performed it for the first time in the premises of this temple. Mannarsala : It is 32 kms. from Alappuzha near Haripad and is famous for the ancient temple of Sree Nagaraja, the King of Serpents. Pilgrims from all over the country assemble here during the two day annual festival. Alappuzha - Kollam backwater trip: One of the best backwater experiences- an 8 hour boat trip through canals and lakes like Asthamudi, Kayakulam and Vembanad Lake. Alappuzha really comes alive on the second Saturday of August in every year, when it serves as the venue for one of the Kerala’s major spectacles –Nehru Trophy Boat Race. The colorful boat pageantry which precedes the boat race is a marvelous treat to the eyes. The snake boats with a length of 30 to 60 meters and with 100 to 150 oarsmen plough the waters with the rhythm and symbols to the tune of the legendary songs. The Nehru Trophy was instituted by the late Prime Minister Jawaharlal Nehru who was enthralled by the charm and gaiety of the water carnival. The boat race attracts a large number of tourists, domestic and foreign.